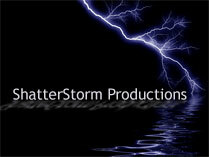 Welcome to the voting page for the ShatterStorm Productions Dead of Winter 2005 Solstice Calendar. You've read the stories and viewed the artwork. Now's your chance to vote on your favorites. Voting runs from 1 January 2006 to 6 January 2006. Winners will be announced on Saturday, 7 January 2006. Winner & participant graphics will be posted soon after that. Please choose your favorite fanvid. Please choose your favorite fanart. Please choose your favorite entry from Week 1, 30 November - 4 December. Please choose your favorite entry from Week 2, 5 December - 11 December. Please choose your favorite entry from Week 3, 12 December - 18 December. Please choose your favorite entry from Week 4, 19 December - 25 December. Please choose your favorite entry from Week 5, 26 December - 31 December. Please choose your favorite overall author. Please choose your favorite overall story.